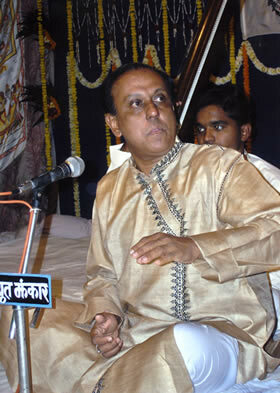 From 1992 onwards, I have engaged in extensive research on dhrupad, a medieval genre of Indian vocal music. 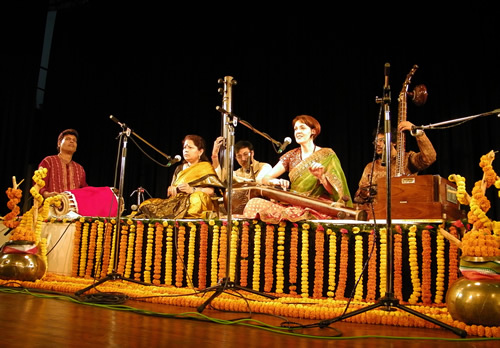 Dhrupad is the most authentic expression of northern Indian classical music, particularly with regard to the performance of the ragas (melodies) and the vocal techniques connected to the Yoga of Sound (Nada Yoga). 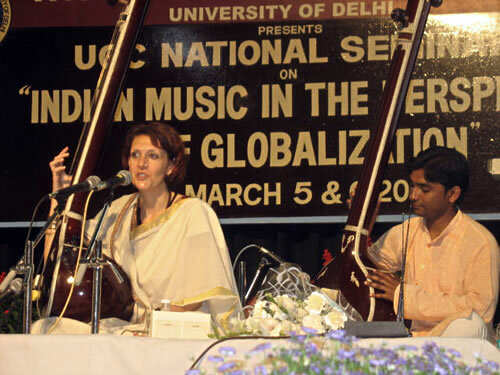 To this topic I have dedicated my dissertation and degree in Ethnomusicology at the University of Rome “La Sapienza”, doing fieldwork between 1992 and 1999 among the Dhrupad community of singers in India and abroad. I owe my interest in dhrupad to Amelia Cuni, an Italian dhrupad singer who transmitted the passion for this tradition to me. She has introduced me to the practice, as well as to one of her Gurus: the Padmabhushan Ustad Rahim Fahimuddin Khan Dagar of Delhi (1927-2011), who represented the 19th generation of the most reputed family of Indian Court Musicians. For 16 years, “Dagarsaheb” patiently trained me in the subtleties and intricacies of dhrupad, according to the traditional talim (musical education) of the Guru Shishya Parampara (the pedagogical system based on the one-to-one relation ‘guru – disciple’). Dagarsaheb had, has and will always have a special place in my heart. He taught me not only the technique, but also the philosophical aspect of the discipline, the deep effect of sound on heart and mind, changing my vision and experience as performer and human being. I have dedicated to ‘Dagar Saheb’ a book on dhrupad, several articles and a double CD. During my PhD program in Benares (2000-2004), I have also deepened the discipline of dhrupad under the guidance of the world famous Prof. Ritwik Sanyal, from the Benares Hindu University who trained me in musicological and practical aspects of Indian music. I will always be grateful to my teachers for their dedication and, with their blessings, since 2005 I have started my career as dhrupad singer, performing in India and abroad. 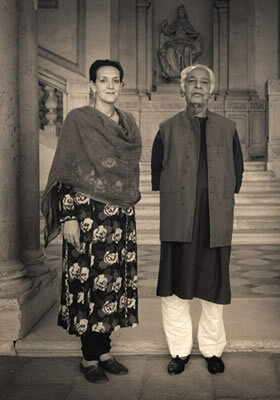 CASSIO FRANCESCA, The Dhrupad of the Dagarbani -booklet, III Millennio edizioni, Roma 2003. CASSIO FRANCESCA, La musica classica indostana come esempio di integrazione tra la cultura hindu e quella musulmana, in “Fedi e Culture oltre ilDio di Abramo”, (a cura di Giovanni D’Erme), Fondazione Carlo Levi, Matera, 2002. CASSIO FRANCESCA, La musica classica indiana: mutamenti nella produzione e nella fruizione dopo il 1947, in “Il Subcontinente Indiano verso il Terzo Millennio”, (a cura di E. Basile, M. Torri), Franco Angeli., Milano, 2OO2.